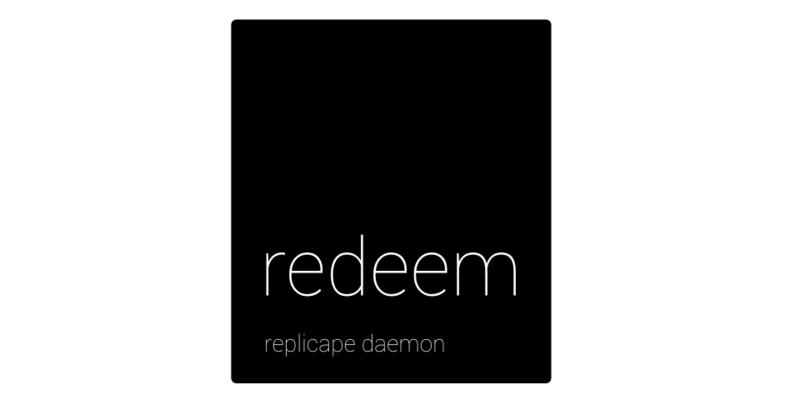 Redeem, the Replicape Daemon, is the "firmware" that accepts g-codes and makes the 3D-printer move. What is special about this firmware is that it is mostly written in a high level language. Python is not the fastest language around, but offers a large array of libraries optimized in C, garbage collection, favours readability and has very good integration with C/C++. That way most of the code base can be kept in Python, with only a small core optimized in C.
The native path planner, was originally ported from Repetier firmware. The porting was done by Mathieu Monney, and although it has worked great, there have been certain short comings with the code base. Looking through any firmware for 3D-printers, you will see a well of pre-processor directives to optimize the code at compile time based on what type of machine the code will be running on. That is necessary when you have 16 MHz of processing power, 256 KB of total flash storage and 8 KB of SRAM. However, using a modern day platform with 1000 MHz of processing power, 4 GB of flash storage and 512 MB of DDR3 SRAM, the need for compile time optimizations diminishes severely. Add to that a floating point unit, and you no longer have to weigh every use of floats in the code. An effort has therefore been to move the native path planner into something more suited for BeagleBone Black and similar speced platforms. A side effect to this has been to make the whole path planner more stepper agnostic, meaning that the path planner no longer has any concept of what each axis does what, and will simply merge each axis using the Bresenham algorithm. This enables doing some pretty fancy things, such as having one or more steppers operate in "slave mode", easily adding more stepper motors, in order to facilitate color mixing etc. It could also be used to specify what each axis does in run time, if one was so inclined. I've recently done some development on this, and although it's still a fairly early proof of concept, printing objects do work and slave mode seems to behave as it should. I made a quick video showing a demo, along with an explanation.